The evolution of mobile apps has been nothing short of astounding. Wherever developers have sensed an opportunity or a problem, they can come up with apps that address these issues. Productivity apps are a perfect example of this drive as these apps have changed the culture at the work-place. From efficient time-keeping to project allotment, they have cut down manual labor on some of the mundane tasks. 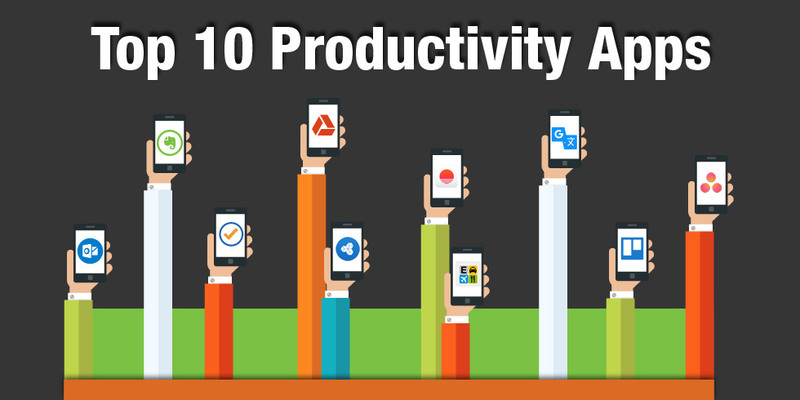 Here is our list of top 10 productivity apps that help in your daily tasks. If managing multiple email threads for project management are giving you nightmare this app is cut for the task. This app helps you assign tasks, manage them and keep a track of their progress. Get it Now These 10 apps can go a long way in increasing your productivity. However, if you have niche needs and need a custom made app you need to hire the services of a professional mobile apps development company. At Semaphore Software, we develop custom apps for Android and iOS based on your niche needs and help improve your productivity. Write to us at info@semaphore-software.com to know more.